Are you confident your SAP HANA on IBM Power Systems are getting optimal performance? SAP HANA has been available on IBM Power Systems for a few years, and many organizations have migrated to it, bringing numerous advantages such as flexibility, efficient resource utilization, server consolidation and reduction in costs. 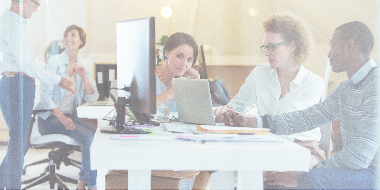 As a Tailored Data Center Integration (TDI) model, an SAP-certified person is required to install and configure HANA. During deployment, a certified HANA engineer sets up the system following IBM Power server and SAP HANA best practices and runs an SAP HANA Hardware Configuration Check Tool (HWCCT), which ensures the environment has been configured for HANA prerequisites and for hardware performance to meet HANA KPIs. 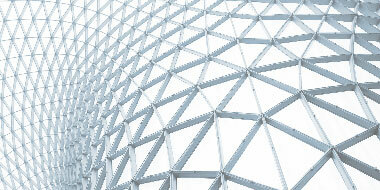 After deployment, however, organizations will eventually need to make changes to their workloads and infrastructure. The monitoring tools you use might not capture deviations from best practices. 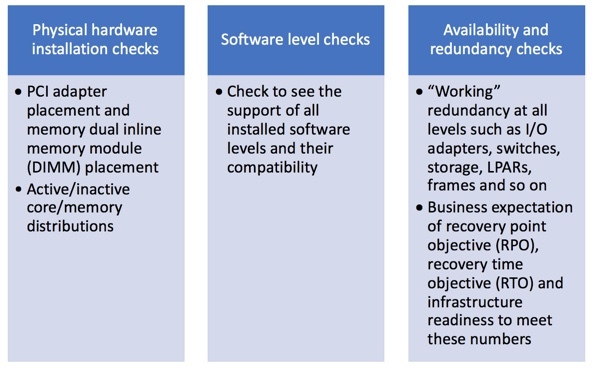 Some components of your system might require periodic checks like firmware updates, patches, backups, cluster operations and so on. Hence the need arises for a periodic health check for SAP HANA on Power Systems. Without periodic health checks, you might not be getting the best availability and performance from your systems, and you could be at greater risk for an unplanned outage. 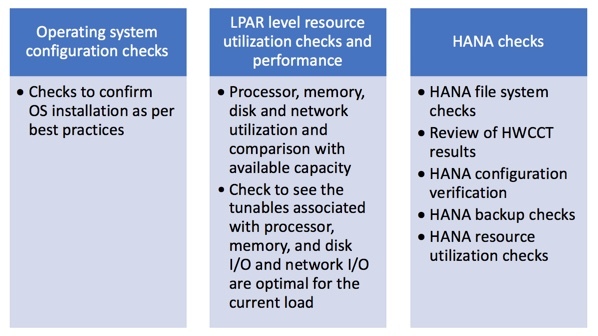 What is an SAP HANA on Power Systems health check? Your HANA configuration, error logs, high availability and backup policies are also validated. The following chart shows a list of the minimum checks that must be covered as a part of an SAP HANA on Power Systems health check. This is only a high-level list; additional checks based on your results may be needed. Who can perform an SAP HANA on Power Systems health check? An SAP HANA on Power Systems health check can be done by anyone who has good knowledge of IBM Power Systems, Linux and HANA. You may do it yourself or engage a team of experienced consultants like IBM Systems Lab Services. Lab Services helps organizations build and optimize SAP HANA solutions with Linux on Power Systems with a tailored data center infrastructure strategy, and health checks are among the many services we offer to help clients optimize their SAP HANA environments. Contact us today for help with your SAP HANA on Power Systems health check and realize the benefits.